The ever-increasing demand for CNAs in Atlanta Georgia is partly responsible for the rise in pay rate over the last five years. Today, a new CNA might earn anywhere from $25,256 to $36,826* annually, which is a sharp increase from the previous salary range of $21,050 to $ 25,000 annually. The current annual wage translates to an hourly rate of $12.14 to $17.70 for CNAs. Of course, there are several factors that influence wages such as employer policies, geographic location, job specifications, experience and training. Students, who take the time to learn extra skills, get access to better job opportunities and higher incomes. The state approved CNA training program at Atlanta Career Institute (ACI) gives students all the training they need to pass the state exam. ACI is an approved testing center, so students can train and take the test at the same facility. The duration of the course depends on the class schedule chosen: Weekday classes run for 17 days, evening classes meet for 22 days, and the Saturday students meet for 8 days. The duration includes clinical training days. Students must pay $150 upfront and have the option to pay the balance in three easy installments. 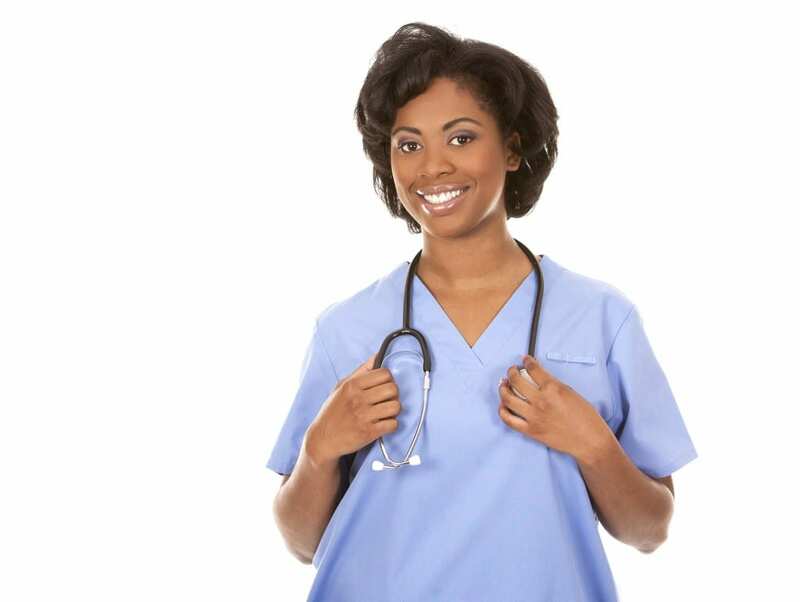 Covenant CNA School offers training through their day, evening or weekend classes. Day and evening classes are 4 weeks long while the weekend classes extend to 5 weeks. Admission depends on the results of the initial interview assessment and background check. Prospective students must pay a $15 admission fee and $25 for the background check before the school processes the application. The tuition cost of $600 does not include fees for the exam and screening. The program at Atlantic Technical College prepares students for the state exam by providing valuable course credits that may be applied to an accredited nursing program. Over the course of 450-contact hours and 23-credit hours, students will learn how to perform crucial tasks such as taking vital signs, charting patient information, obtaining lab specimen, and assisting patients with routine activities. Georgia residents pay $85 per credit hour for tuition at this institute. Students choose Murray Career Institute for the personalized attention and friendly environment. After completing the 3-week course, conducted over 15 sessions, students can go on to take the exam at Murray’s state approved testing facility. Tuition for the CNA program is $520.00, which does not include the cost for the exam and screening. Students must pass a background check and screening before moving on to the clinical aspect of the training. 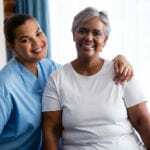 The Nurse Assistant Training (CNA) at the American Red Cross is one of many health and safety programs that the organization offers in Atlanta. 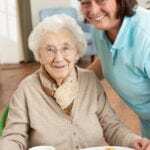 The state-approved program prepares students for the provision of care in patients’ homes and health care settings. They learn the 24 skills, including moving patients, measuring blood pressure and other vital signs, personal care, and nutrition. At some point in the program, students will participate in the clinical experience, where they’ll obtain hands-on experience in a wellness center. Admission requires a TB test and background check. A high school diploma is not required to enroll. The program’s tuition is $799 and includes CPR/First Aid certification. Graduates will receive a certificate of completion that will confirm their eligibility to take the state competency exam to become a Certified Nurse Assistant in Georgia. Life Solutions for Health offers a state-approved nursing assistant program that prepares students for a career in health. Day, evening and Saturday class schedules are available. Daytime sessions meet Monday through Friday from 9am to 1pm for four weeks – the clinical rotation occurs the last three days of the final week. Evening classes are Monday through Friday from 5pm to 9pm for 4 weeks. A Saturday class is also available; classes meet for 8 hours every Saturday for 11 weeks. Admission requirements include a high school diploma or GED, a background check from the local Sheriff’s Department, two forms of identification, and a TB skin test. Students must be 17 years or older by the first day of class. High school students in the tenth grade or higher will be considered for entrance during the summer sessions – with documentation of most recent transcripts. Felony convictions will disqualify an applicant from entry. Tuition costs $640 for the daytime/evening program. The Saturday class costs $700. A payment plan is available. The nursing assistant program at New Beginning prepares students for success on the nurse aide competency exam. Both morning (9am to 1pm) and evening (5pm to 9pm) schedules are available. Classes meet Monday through Thursday for 6 weeks. Course topics include laws and ethics, different health care settings, scope of practice, rehabilitation, nutrition, human growth and development, HIPPA, infection control, basic nursing skills, medical abbreviations, acute and long-term care, body systems and related disorders, hygiene and grooming skills, nutrition, and different health care settings. Registration involves a phone or in-person interview, submission of the required documents, state identification and social security card, a criminal background check, and TB skin test. Graduates are eligible to take the state exam at New Beginning’s in-facility testing site. Tuition for the program is $575 plus $25 (administration fee) and $50 for the BLS/First Aid training. A flexible payment plan is available. Faks Allied Health Center lets students complete nursing assistant training in a short period of time. Weekday, weeknights, and weekend classes are available, and the schedule varies from 4.5 to 6.5 weeks. The program has state approval through the Georgia Medical Foundation. Classroom instruction covers basic nursing skills, total patient care, vital signs, resident rights, communication with patients, CPR and First Aid, and infection control and safety measures. Students will also learn to demonstrate those skills through their participation in a clinical experience at a long-term care facility. FAKS offers a flexible payment plan to all students. Students enrolled in the Nursing Assistant Program at Woodruff Medical Training and Testing receive the knowledge, hands-on training, and industry support they need to pursue a rewarded career as a CNA. The interactive class is led by experienced professionals who will introduce students to resident safety, basic nutrition, bed making, communicating with patients, infection control, taking vital signs, patient bill of rights, ambulation and basic emergency care, transferring, and understanding human sexuality. During the training, students will provide patient care in a long-term care facility where they’ll learn the clinical aspects of nursing. Day and evening schedules are available. The daytime program is 4 weeks and the evening program is 6 weeks. Graduates will be eligible to take the state certification exam, which is conveniently offered on campus. As one of the largest allied health training centers in Georgia, GCEC offers nursing assistant training in its state-of-the-art facility. The program entails lectures and hands-on laboratory training in realistic settings to prepare students for safe and competent practice. The daytime classes meet Monday, Tuesday, and Wednesday from 7:30 am to 3:30 pm for three weeks and one day. The clinical sessions are on Thursdays. A criminal background check and TB test are necessary for participation in the clinical experience. The tuition is $999 and includes blood pressure cuff, one workbook, one set of scrubs, stethoscope, background check, CPR and First Aid. Military spouses may qualify for full tuition financing. Assured & Associates Training Center LLC. Assured & Associates Training Center offers health care training with the approval from the Georgia Health Partnership and National Health Career Association (NHA). The fast-paced nursing assistant program prepares students for success on the state competency exam to become a Certified Nursing Assistant in Georgia. Experienced and knowledgeable instructors cover lectures in the classroom and oversee patient care experiences in a long-term care facility. The coursework includes medical ethics, infection control, patient rights, anatomy, and knowledge of diseases. Additional training includes patient communication, pre and post-operative care, patient hygiene, safety and emergency, and administrative duties. Graduates will receive a certificate of complete and will be prepared to work in assisted living facilities, rehabilitation centers, patient homes, and other medical facilities.